Polychlorinated biphenyls (PCBs) had been used from 1929 until 1979 for hundreds of beneficial industrial and commercial applications. But leaky equipment and the illegal or improper dumping of PCB wastes have led to environmental exposure, which continues today with disastrous consequences. With growing evidence that PCBs caused cancer as well as adverse effects on the immune, reproductive, endocrine, and nervous systems, in 1979 their production was banned in the US in accordance with the Toxic Substances Control Act of 1976. PCBs are very stable chemicals that do not readily break down in the environment. They are insoluble in water but very soluble in fat tissue and remain in the body for extended periods of time. In short, PCBs are perfect chemicals for biological magnification. Other similar common toxic substances include pesticides (such as DDT) and heavy metals (arsenic, mercury, lead). Once fat-soluble pollutants are ingested by birds or mammals, they become stored in tissues and internal organs. Unlike chemicals that dissolve in water, they are poorly excreted in the urine and, therefore, become concentrated in the body, increasing their toxic potential. Biological magnification (biomagnification or bioaccumulation) is the process whereby a harmful substance becomes increasingly concentrated as it moves up the food chain. This is illustrated by PCB and its increasing concentration in the body (in parts per million) as it ascended the food chain in the Great Lakes: phytoplankton, the base of the food chain (0.025) → zooplankton (0.123) → smelt, a small fish (1.04) → trout, a larger fish (4.83) → herring gull eggs (124)—biological magnification of almost 5,000 times! The indiscriminate use of DDT resulted in a catastrophic decline in the population of bald eagles, peregrine falcons, and brown pelicans. This was highlighted in Rachel Carson’s book Silent Spring (1962), which led to the banned use of DDT in the US in 1972. 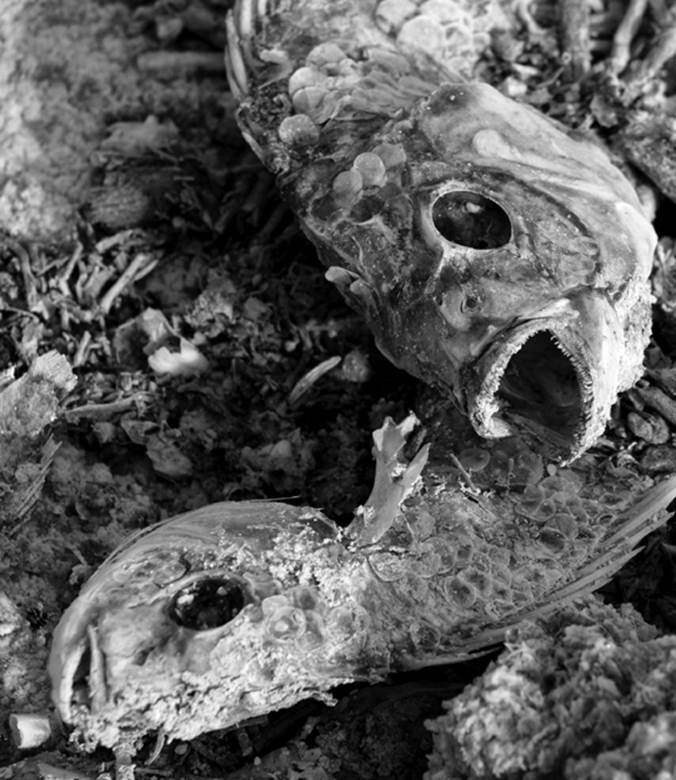 From 1932 until 1968, the Chisso Corporation dumped methylmercury into wastewater that emptied into Minamata Bay in Japan, accumulating in fish and shellfish, which were eaten by the local residents and their animals. Extremely severe nerve toxicity (Minamata disease) resulted, with almost 1,800 human deaths documented. SEE ALSO: Silent Spring (1962). History is replete with examples of heavy metals, chemicals, and pesticides entering the food chain and, through the process of biological magnification, causing the widespread death of wildlife.